At Amigos de Palo Alto, we pride ourselves in our professional faculty and staff. They are the ones that comprise Amigos de Palo Alto. MariaTeresa Torres is the lead instructor of Amigos de Palo Alto and has been working with young children for over 20 years, in both the private sector as well as 9 years as a Teacher’s Aid for the Palo Alto Unified School District. She loves working with children of all ages, and has a special gift for teaching them to read and write. 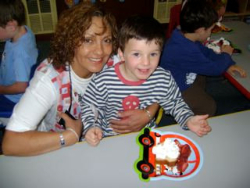 Educated in Colombia, Germany and the United States, MariaTeresa has extensive experience working with children in both individual and group learning settings, and has worked with children and families from all over the world. She has an Associate of Arts degree as an Associate and Master Teacher and is currently an accredited mentor for preschool student teachers. MariaTeresa’s personal interests include a passion for soccer. She has traveled to and attended every Soccer World Cup since 1982. She is also an accomplished cook who enjoys sharing her favorite dishes from her native Bogotá, Colombia with family and friends. Nohora Rodriquez graduated from San Buenaventura University with a degree in Education in Administration. She was born and raised in Bogotá, Colombia. After graduating from the University, she worked as a Spanish teacher in a private elementary school where she was appointed Vice Principal for over four years before moving to Northern California in 1999. In her first years in California, she worked as a Tutor and a Nanny and in 2007 she opened Amigos de Palo Alto with her sister MariaTeresa and a friend. Nohora now is our Site Director and the lead teacher of our after school program. Nohora continues to build on her credentials in Early Childhood and is currently attending classes at Foothill College. She describes herself as a life long learner who is passionate about teaching children. In her spare time, Nohora likes to cook and spend time with family and friends. She loves the outdoors, and she also loves to travel. 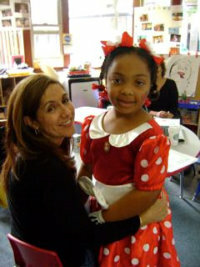 She enjoys working at Amigos de Palo Alto and inspiring children to learn Spanish in a fun and nurturing way.